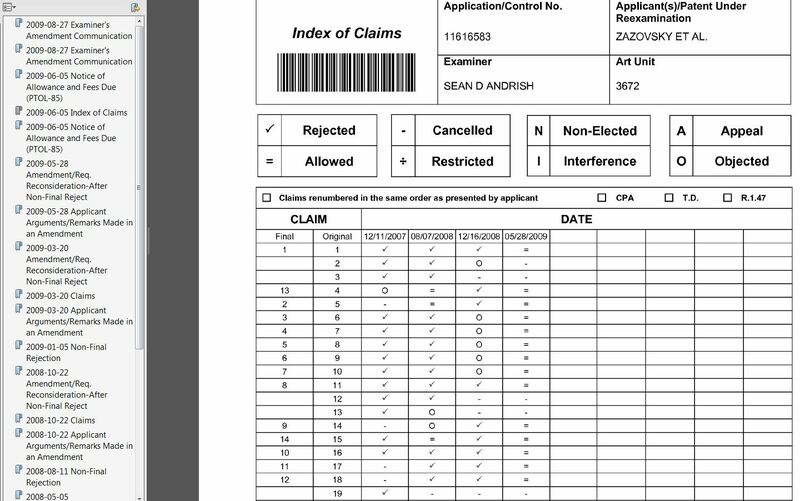 Patent claim construction involves an analysis of intrinsic evidence primarily, and then extrinsic evidence as needed. Extrinsic evidence includes, for example: dictionaries and expert / inventor testimony. Extrinsic evidence may be considered to inform claim construction based upon the intrinsic evidence, but in most situations intrinsic evidence alone suffices to construe claims, and in many cases it is improper to rely on extrinsic evidence at all. I spend a fair amount of my time reviewing wireless air interface and data communications inventions, and so I often need to reference appropriate related standards and specification documents. Below is a very partial list of wireless and general data communications standards and specifications along with their associated website links. I hope you find these references helpful and that these hasten your standards document searches. Prior to my attendance and panel participation at the SUITS conference in August 2013, TMC published an interview they did with me titled “Three Areas of Intellectual Property You Need to Understand” — this article is available here: http://www.tmcnet.com/topics/articles/2013/08/15/349616-three-areas-intellectual-property-need-understand.htm. Much of what is published there has been covered in earlier posts on this blog, such as in “Clearance Search Review” and “Invention Disclosure Highlights and Considerations”. However, there is also additional new perspective pertaining to the biggest misconception in terms of how companies can understand, enforce, and protect their patents and intellectual property. This largest misconception in terms of how companies can understand, enforce, and protect their intellectual property is one held by a large portion of companies’ R&D engineering communities – that is, that an inventor’s novel and non-obvious invention is obvious and one that would have been formulated by any other engineer in a similar situation. This misconception leads to many inventions never being considered for patent protection. The issue can at least partially be overcome by continual inventor training to educate engineers to recognize the features of designed products and services that indicate the desirability of protecting aspects of these designed products and services with patents. This training should include information about patents, their history and intent, patentability rules, and examples of patented solutions within the given company’s technology areas. 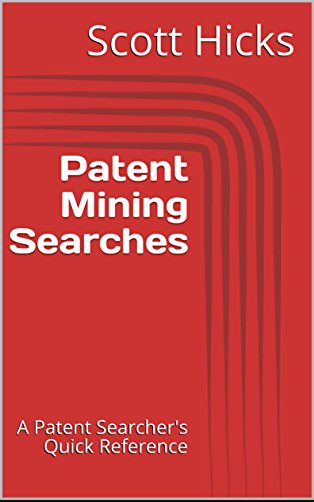 In particular, patent examples often inspire an “aha moment” within engineers that lead them to become prolific inventors and patent protectors. More and more web applications typically encrypt communications with a user browser using Transport Layer Security (TLS), making determination of how the web application works more difficult. However, as part of patent analysis it can be quite helpful to peek into client-server communications to better ascertain how functionality works. Packet capture tools such as Wireshark capture all Ethernet communications at a network adapter, and so cannot see inside encrypted packets like TLS packets used for securely transferring data via Hypertext Transfer Protocol Secure (HTTPS). TLS encrypts packets using symmetric cryptography between communication counterparts, so that unless you’re the NSA it should be challenging to be a “man-in-the-middle” and read the communications in the clear. For this reason, what is needed is insight at a counterpart endpoint, and in the client case for a web application this is the web browser. The web browser itself obviously must be able to encrypt and decrypt communications with a web application server, so it is here that one can capture and analyze HTTPS packets in plaintext format. There are a variety of browser-specific add-ons that are available to capture and present sent and received HTTPS communications in plaintext format. One example that I have found helpful is HttpFox, an extension for Mozilla-based browsers such as the Firefox browser. HttpWatch is another solution that works for Firefox and on iOS devices (iPhone, iPad) as its own browser. 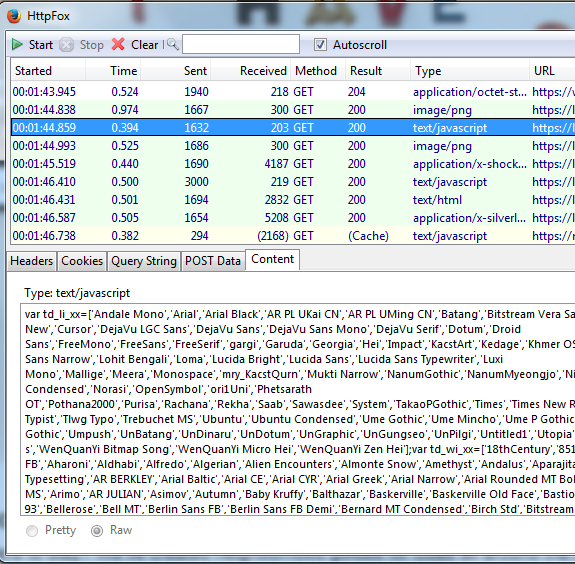 It should be noted that while browser extensions such as HttpFox are helpful for capturing and analyzing secure encrypted communications with browsers, these are not helpful for decrypting communications to/from other client applications because these other applications are TLS counterpart endpoints that are using cryptography without providing insight into the communications.